On my last trip, she had a set of wooden building blocks that I hadn’t seen before. It wasn’t initially a go-to toy but, during my stay, it became a favorite. First we built simple, amorphous structures. Then she wanted to create corrals for her horse figurines (Schleich gets my thumbs-up). Next, we tried to copy the illustration on the box cover. Finally, we were off and running, designing multi-room castles for her hodgepodge menagerie (animals and fun magnetic toys are “in,” dolls are “out,” in her worldview). It is impossible for me to capture her whispery melody—or my surprise. Yikes. Did I shoot her down? Was I giving her a complex? Am I a bad aunt? At her age, I was a silent child; but I’m now notorious for speaking first, thinking second. Maybe it’s makeup time for all the years I held my tongue. Here, I wished I’d thought twice about the effect of my words (and perhaps about the way I uttered them). Sure, I should ultimately speak my mind to my niece (what is love without honesty?). But I should also understand the power of words. I love that you are down on the floor with your niece — not everyone can do that. The thing about kids, I’m finding, is they teach us in each of these little interactions — and they are endlessly forgiving. I have a 4 year old niece too, and it never ceases to amaze me what they can teach us. They’re so perceptive, it’s easy to forget. It’s good to spend time with little guys like this, I think it makes us all more self-aware. you are so lovely for thinking this thought through. special aunt. please come to lake como and be my iyengar teacher. 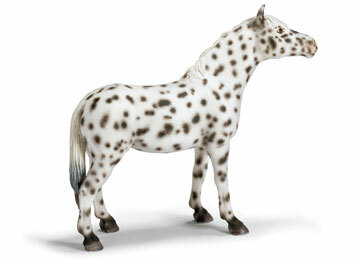 and schleich animals rock. though they cost a seriously pretty penny.